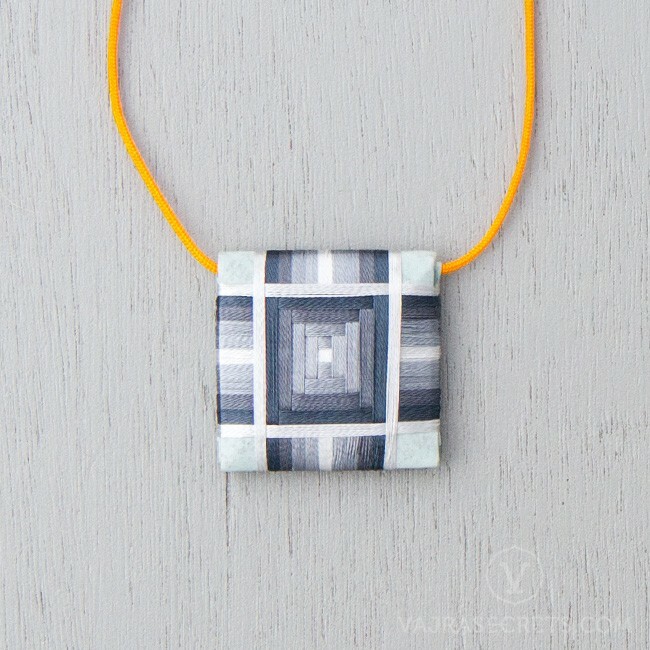 A traditional Tibetan Buddhist amulet containing the essence, power and healing energies of the trinity of long life Buddhas. 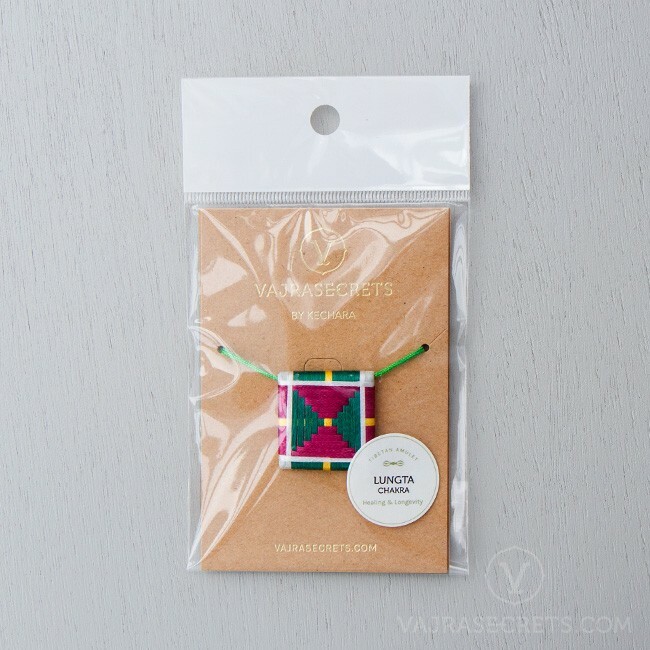 Handmade and consecrated by monks, the Lungta chakra also bestows powerful protection, increases positive energies, and helps overcome life's challenges. A traditional Tibetan Buddhist amulet containing the essence, power and healing energies of the trinity of long life Buddhas - White Tara, Amitayus and Ushnishavijaya - as well as Lama Tsongkhapa’s blessings. The Lungta or Windhorse is a very fast horse representing the medium that carries our prayers up to the Buddhas. 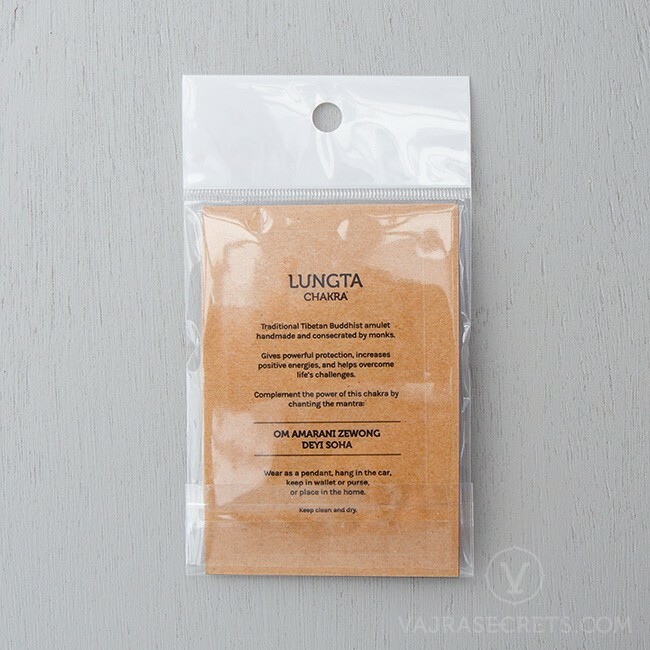 Handmade and consecrated by monks, the Lungta chakra brings peace, prosperity and clears problems caused by illness, misfortunes and planetary influences. 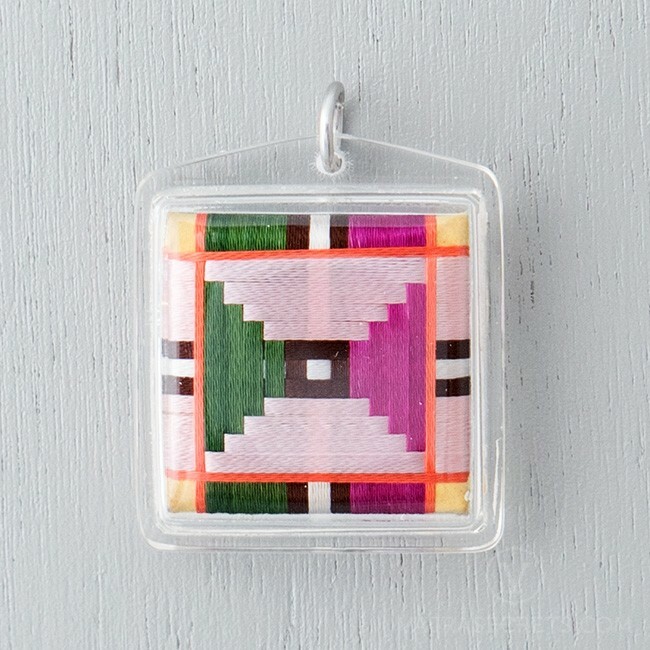 It also bestows powerful protection, increases positive energies, and helps overcome life's challenges. 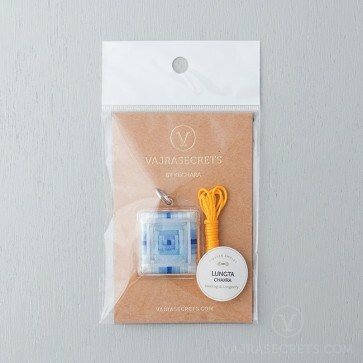 The casing protects the delicate chakra from damage and keeps it dry.